We worked closely with Converse EMEA to produce their biggest ever activation in the UK, the Converse One Star Hotel in east London. Consumers applied for places at the hotel, where they took part in screen-printing workshops, dance the hours away to carefully curated mixes by the Radar Radio DJ’s, and watch live performances from artists such as IAMDDB, Slow Thai, Siobhan Bell and more. 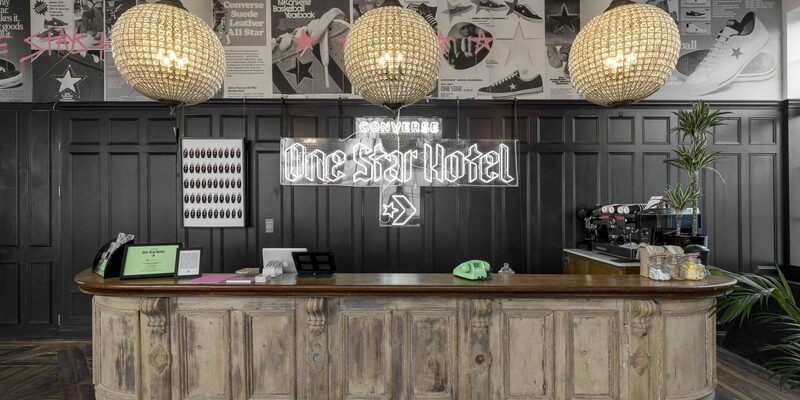 The hotel included “guest rooms” that housed opportunities for digital, product, and live experiences, curated by Converse collaborators such as Yung Lean, A$AP Nast, fashion label MadeMe, and Tizzy T.